Champagne barge cruise on hotelship Johanna from Château-Thierry to Reims on the Marne river and canal. An enchanting journey between beauty, history and vineyards, with daily tastings of champagne and Belgian chocolates. 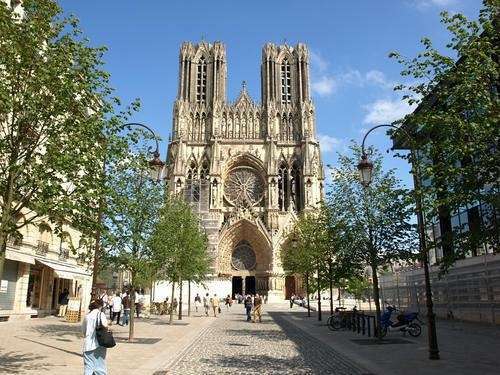 Visit cathedrals and wine cellars or WWI memorials. Take your time and enjoy your canal cruise on the sundeck. Explore the region in the afternoon on your guided minibus tour. Finish the day with a sumptuous dinner on board. The Champagne region is full of delicious contrasts. On one hand there’s the drink; that gold-hued, sparkling elixir eternally associated with decadence and luxury. Then there’s the countryside; 86,000 acres of sleepy, undulating hills striped with low-slung trestled vines of pinot-noir, pinot meunier and chardonnay grapes. They are tended to by families whose members are far more likely to greet you with fresh mud on their boots than adhere to the glamour their champagnes inspire. And in the valley is the meandering river Marne which gives the region it’s fertile soil. In the morning, you will be met at a designated meeting point in Paris. From here, relax as you are chauffeured to the barge, moored in Château-Thierry. A champagne welcome and introduction to the crew awaits, including the barge cats, Babou and Coténoir. (The cats are friendly but prefer to spend most of their time in the crew area.) Time to settle in and enjoy your first lunch onboard. This afternoon, we will set off on our first tour which may include Belleau Wood memorial site, the American WW1 memorial and the medieval castle of Château-Thierry or the Castle of Conde-en-Brie. Back on Joahnna, Chef Patsie is busy creating a magical welcome dinner! The adventure begins with a morning cruise, presenting the perfect opportunity to relax on deck with a cup of Chef Patsie’s special chocolate coffee. The afternoon, enjoy the first of many champagne tastings ashore, if time permits, we will also visit the local eco-museum, Chatillon-sur-Marne panorama, and the Dormans WW1 memorial. Back onboard, Chef Patsie’s is preparing tonight’s delicious dinner. During the morning cruise, those with a sweet tooth are invited to join Chef Patsie in her open kitchen to observe her techniques for cooking with chocolate. In the afternoon, your Tour Guide escorts you to the village of Hautvillers where Dom Perignon first invented the famous drink! Enjoy Champagne samplings at houses both emerging and established while admiring the area’s panoramic views of rolling hills, lush vineyards, and endless skies. The area’s culinary bounty is on further offer tonight, as dinner is taken ashore at a local bistro (included in the program). This morning, your Tour Guide accompanies you to the small city of Epernay, home of the world-famous Champagne Avenue. Tour the cellars and taste the bubbles at one of the renowned champagne houses. Return to the Johanna for an early afternoon cruise. Upon mooring, Champagne’s extraordinary natural beauty is revealed during a mid-afternoon visit to the Reims Mountain National Park. Observe the Verzenay lighthouse and explore the world’s principal reserve of dwarf beech trees. Back onboard, dinner culminates with a decadent chocolate dessert. As Johanna continues her lazy journey along the canal this morning, explore the towpath by bicycle or on foot. 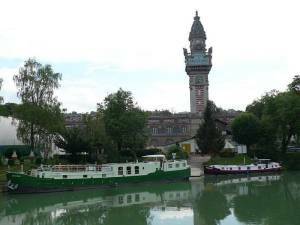 Afternoon excursions to the charming village of Chalons-en-Champagne include a visit to its collegiate church, Notre-Dame-en-Vaux, which boasts a 56-bell carillon. From there, perhaps sample the suds at a local beer brewery, stop at the preserved XVII century Sainte-Croix gate, or take a scenic stroll in the “Petit Jard” and “Grand Jard” gardens. Dinner tonight furthers the local immersion, as it is taken ashore at a small brasserie (included in the program). During this morning’s final cruise, hop off at a lock for a gentle pedal or leisurely stroll. 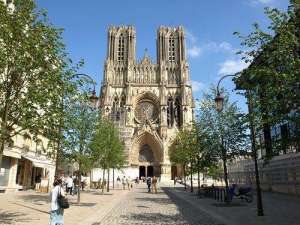 This afternoon, your Tour Guide escorts you to Reims for a tour of the Cathedral with the famous stained glass windows of Marc Chagall. 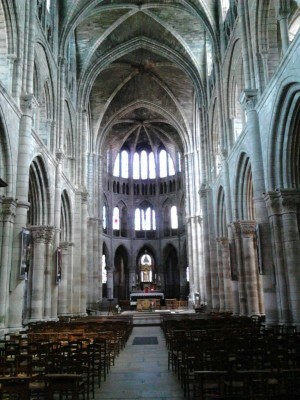 Here is where the Kings of France were crowned! 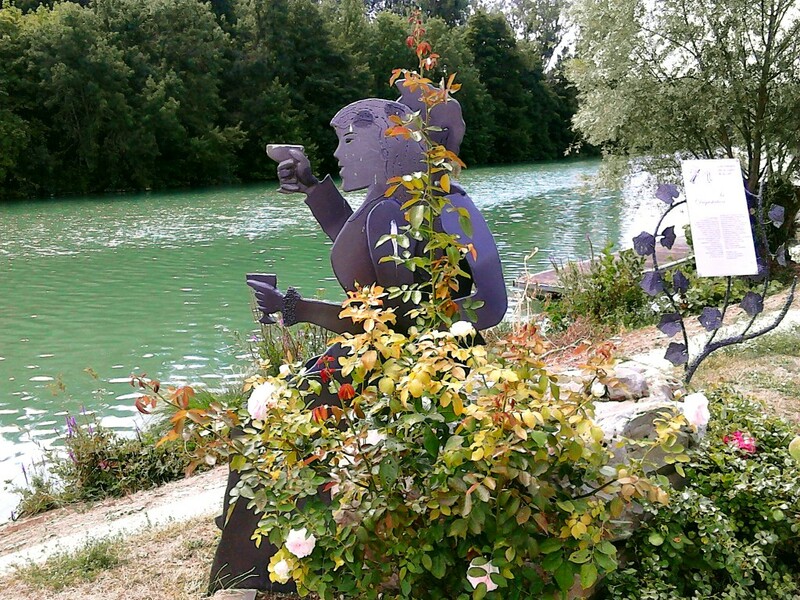 Then, tour the recently restored Art Nouveau “Villa Demoiselle”, which can be combined with a visit to the nearby Vranken champagne cellars for another private sampling. Return to the Johanna for the Captain’s Dinner, with chocolate and Champagne served at every course! Farewell after breakfast. Return to central drop-off point in Reims or Paris. On alternating weeks cruising in the opposite direction. From Chateau-Thierry, we visit the Belleau Wood memorial, American memorial of the Battle of the Marne, ruins of the medieval castle and the small and picturesque statues of the Fables of Jean de la Fontaine who was born here. The privately owned Castle of Condé-en-Brie is close by. Interesting history and architectural paintings. Champagne tasting with chocolate pairing at the Dom Caudron cooperation. They have a small museum on champagne production and a very interesting tour of the production site. Cumieres and Hautvillers: See the statues in Cumieres depicting all the steps in wine making and visit the grave of Dom Perignon, assumed to be the inventor of Champagne production. Epernay with the Avenue de Champagne where we visit either the caves of Mercier with it’s small train, the prestigious house of Moët et Chandon or the De Castellane wine cellars and bottling site. You’ll be impressed by the strange forms of the “Faux de Verzy” (beech trees) and the lighthouse in the middle of the vineyards of Verzenay. The French escargots” (snails) love vine leafs. So where could there be a better place for a snail farm then in the Champagne region? They taste just delicious! Afternoon visit of Chalons-en-Champagne with Notre-Dame-en-Vaux and St-Etienne cathedral, le Petit Jard (“small garden”), market place and shopping streets. Fort de la Pompelle near Reims with a collection of 560 German helmets from World War I.